and utilities such as tagline managers. many mail doors. Updated monthly! 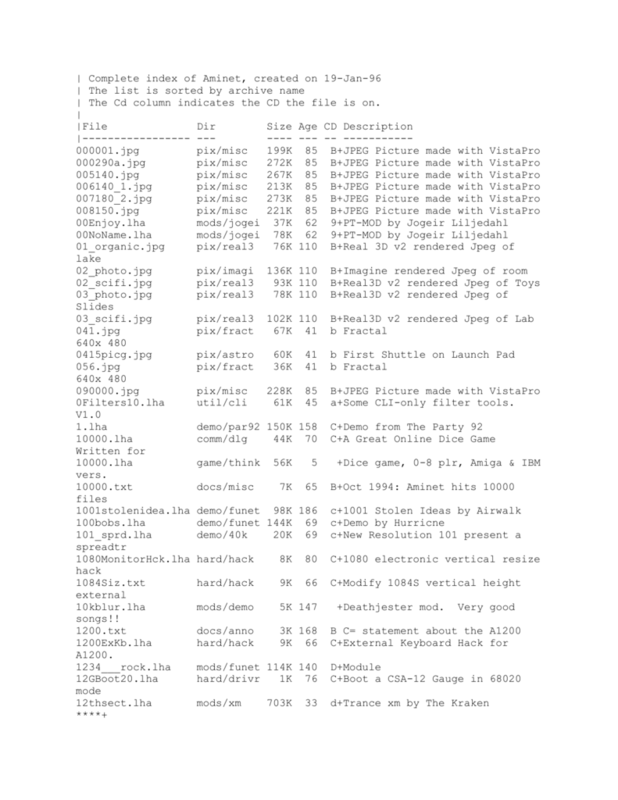 All about QWK — file formats, directories of latest (4/1/95) versions of readers for DOS, Win, OS/2, Amiga, Mac, …, and where to find them and how to contact the authors. A great resource, updated monthly. This compilation is maintained, published, and Copyright 1994 by James A.
without credit, but please use common courtesy when using larger portions. either physically or financially, from the use or misuse of this data. The entire file is updated monthly and is available as QWKPyymm.ZIP. Format for submission: Please provide as much information as possible. Fido site or RIME node name/number. sections of the QWKPyymm list. directory, or from any SimTel mirror site.